Whether your an owner of a 250ft superyacht in the Caribbean or the owner of a 75ft Riviera here in Australia, the one thing they have in common are both vessel require routine and regular maintenance in order to operate smoothly. 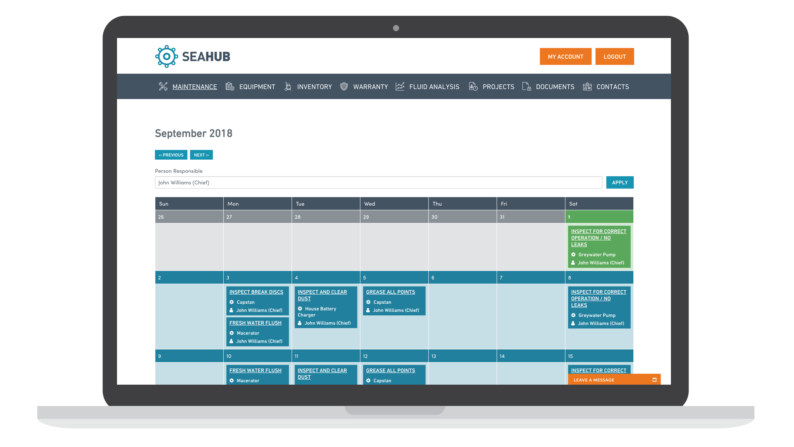 Running with a digital vessel maintenance log these days is simple with Seahub – Yacht Maintenance Software and is becoming common place on vessels of all sizes. There can be little doubt that through the evolution of the marine industry and technological improvements, the equipment we are seeing onboard your typical 50 – 100ft cruiser parrelles that of equipment installed on superyachts over $100 million, all be it on a smaller scale. With so many systems requiring maintenance, as a Captain or owner, having the tools to manage your vessel maintenance log is becoming more and more important. “We have found the 50-100ft cruiser market in Australia is on the front foot with routine maintenance. Seahub is well designed for the Australian market with plans to adjust any vessel size. We’ve got a great development and support team based here in Australia. It gives us the ability to provide great support which we enjoy . 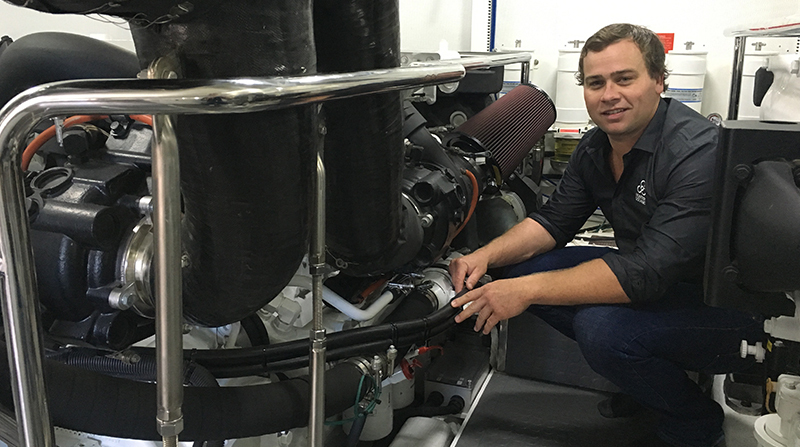 We are working closely with yard facilities such as The Boat Works, Rivergate, Gold Coast City Marina and The Yard to better understand how Seahub can add value to the services they provide” – says Matt Hyde of Seahub. The increased uptake in the use of the Seahub on board yachts within the 50-100ft range can be largely attributed to a few key factors. The understanding that effective routine maintenance results in more reliable equipment, fewer breakdowns and lower running costs is first and foremost. OEM’s invest significant R&D into understanding what maintenance is needed in order to keep their equipment operating correctly. Adhering to their recommendations is the best approach to enjoying a long operational life out of your equipment. On top of this, the organisational benefits to Captains or Managers become clear soon after implementation. “Lets face it, life is busy and time is something we can’t create. Any system that improves the use of our time is going to be of benefit to owners and crew and if at the same system it can improve resale value, it’s going to be a huge benefit to any program” owner of 82’ Ferretti based in Sydney. Paper based records have been the staple over the past few decades. With the improvements in cloud based technologies, platforms such as Seahub can provide a valuable service, at low prices and with no physical ‘installation’ required to deploy the software. For more information on Seahub and how to move to a digital vessel maintenance log get in touch today and try a free demo.